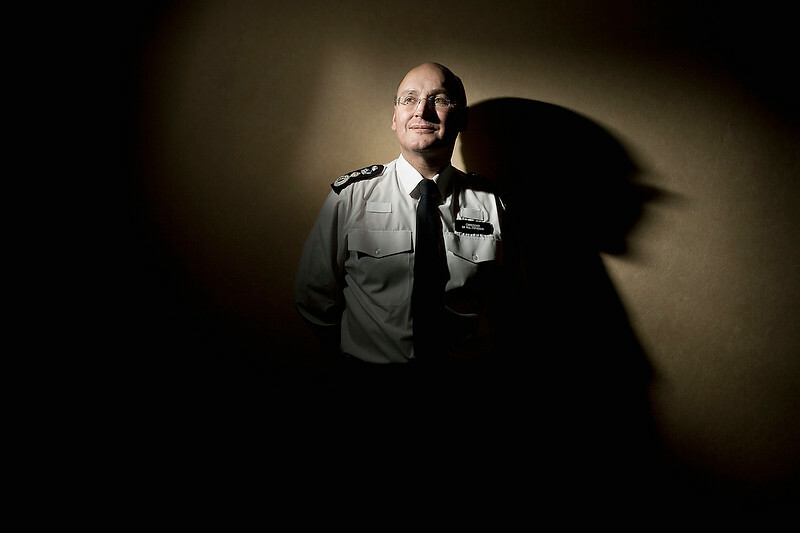 This portrait was made when Sir Paul Stephenson had been in post as the Commissioner of The Metropolitan Police for less than two hours. He had been acting Commissioner but this was taken when he was actually given the job. This frame was right at the end of the session where I had already shot quite a wide variety of pictures in the time allotted. Having packed 90% of my gear away I was told that I still had a couple of minutes and so I did this picture with a press officer holding a Canon Speedlite off to my left with the head zoomed in to create this pool of light effect. Sir Paul has now left the post but this picture is staying in my folio. Shot using a Canon EOS5D MkII with a Canon 24-70 f2.8L lens and a single 580exII flash triggered by a Canon ST-E2 transmitter.